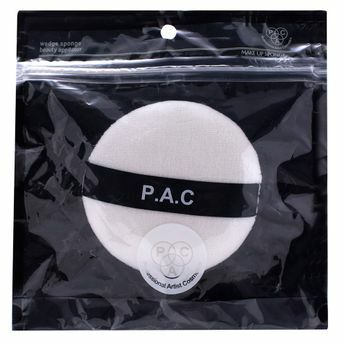 Depending on your use, skill & personal comfort level, the PAC Makeup Sponge - Powder Puff (Large) (1 Pc) is useful to set your face with powders! These large powder puffs are perfect to set you face in just on DAB! Large enough to apply product properly. Additional Information : PAC Cosmetics is a professional makeup artist brand with an aim at bringing the highest quality, innovative cosmetic products to all makeup lovers and professional artists. The brand is known for their wide range of trendy makeup products, tools, brushes and accessories. Try PAC Makeup Sponge - Powder Puff (Large) (1 Pc) now! Explore the entire range of Sponges & Applicators available on Nykaa. Shop more PAC products here.You can browse through the complete world of PAC Sponges & Applicators .